Angie Farrag-Thibault leads leads BSR's Transport and Logistics practice, working with companies and stakeholders across the value chain to advance the integration of sustainability into the global logistic supply chain. Farrag-Thibault also steers three key industry platforms: BSR's Clean Cargo Working Group, the Maritime Anti-Corruption Network, and the Container Ship Safety Forum. 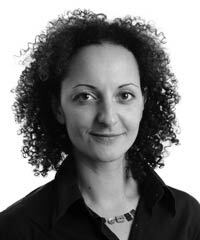 She has more than a decade of experience working with leading companies on strategy and reporting. Previously, she worked at Deloitte Touche Tohmatsu and Andersen in London, where she provided strategic advisory and sustainability report assurance services to companies in a number of sectors.